Thousands of homeowners each year face the difficult task of deciding what to do after they experience Fire Damages within their homes. The devastation caused by the blaze, coupled with the emotional shock that accompanies the traumatic experience, are often enough to leave many homeowners reeling from the experience. Beyond the emotional and psychological damage, homeowners must contend with costs of extensive Fire Damages sustained to their homes, as even small blazes can leave lasting damage. Adding to the situation, homeowners must also cope with the stress of dealing with insurance companies as they work to regain the value of possessions lost to the fire, not to mention the added complication of securing a new place for their family to live while their home is repaired. This highlights the importance of finding a professional Fire Damages remediation expert and fire damage specialist as quickly as possible once the smoke and dust has begun to clear. As homeowners look towards the immediate aftermath of coping with a house fire, their homes can continue to suffer damage beyond the initial blaze. Though, a professional can help mitigate the amount of lasting fire damages quickly and efficiently allowing home owners to return the comfort of their own homes during their difficult time. 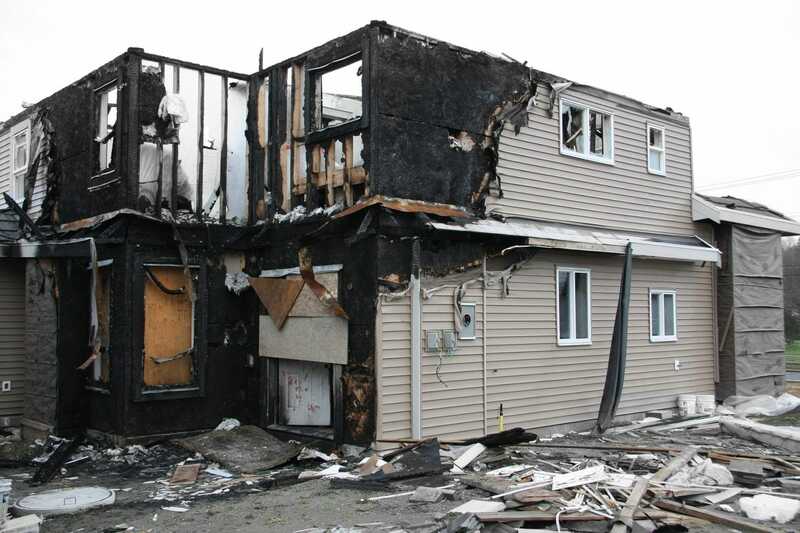 The immediate damage caused by a blaze is fairly visible once the flames have died down; charred structures, fried wiring, and damaged property are quite difficult to overlook. Though once the most visible damage has been accounted for and repaired, a longer lasting effect can persist despite a homeowner’s best efforts to repair their home. The damage caused by the smoke, ash, and soot during a fire can, at times, be more pervasive and often more detrimental but often overlooked when compared to the extent of other fire damages sustained. But the long term effects of fire, ash, smoke, and soot should not be treated as a secondary portion of remediation or repair as they can severely damage not only the actual structure but the lives of all everyone in the home as well. Smoke, ash, soot begin to damage every portion of the home as soon as a fire starts, as they can often spread much further beyond the reach of the actual blaze. And while a smoky odor is the most noticeable of the lingering effects, the potential for harm is greater than an offending odor. The collection of soot, ash, and smoke slowly eats away at every surface it covers while posing a severe health risk to all inhabitants to the home. Add in the toxic residue caused by the fumes of burning hazards and a home can quickly become just as dangerous as it was during the initial blaze. Fully recuperating after a fire is difficult even in the best of circumstances, but by hiring certified Fire Damage professionals, you can be certain you and your family will return to a safe home ready to move forward.